At Queanbeyan Showground markets last year I bought pepperberry bread rolls from Fiona Porteous of Bent Shed Produce at Tarago (Kitchen Garden August 22). 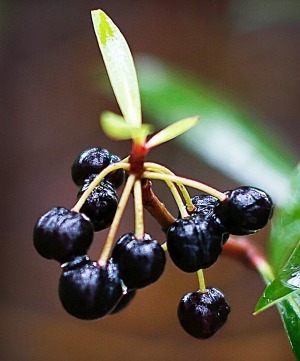 Fiona's pepperberry leaves and berries came from Australian Mountain Pepper in the district. 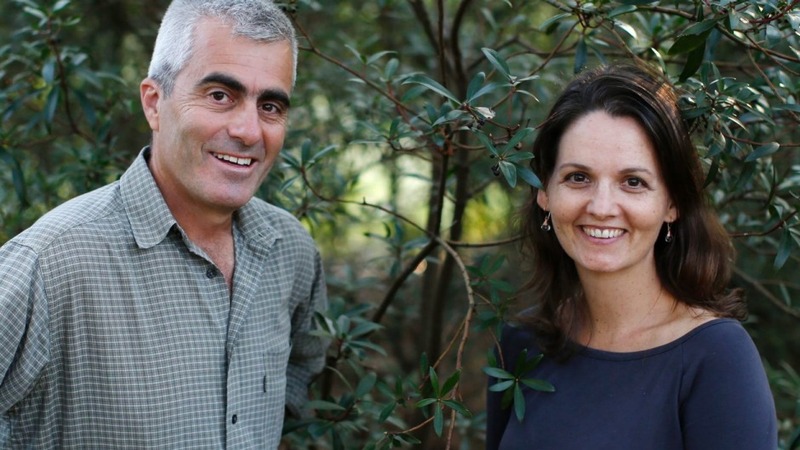 In 2000, when Tim Wimborne and Meraiah Foley were first married, in their 20s, they bought a forest block on the edge of a national park. Then journalists, the couple used to come down from Sydney to camp among the tall trees, lush tree ferns and leeches. An ecologist came to survey the property in 2015 and she identified the species Tasmannia lanceolata and casually mentioned its use as a bushfood. There are an estimated 2,000 wild pepper plants on the 16 hectares. The place had been selectively logged many years earlier and this pioneer species thrives on the edge of wet, cool forests. The couple investigated the potential of Tasmannia as a sought-after Australian spice, particularly in Europe, and most of the crop is wild-harvested in Tasmania. On the Braidwood region property, they use no pesticides, commercial fertilisers or agri-sprays. There is evidence of an old house foundations and bits of crockery here and there but limited details of earlier settlement. As the plants are spicy, few animals or insects eat the leaves or berries.This year they started harvesting in February. The plants begin to flower in September and the berries take off in October, then gradually turn from green, to red to dark purple when they are picked by hand. The dry berries are almost black and they can easily be ground. Tim says their taste is hot and peppery but unlike standard black pepper. Their berries are citrusy with woody overtones and a slow heat that develops on the palate for about 10-60 seconds after the first taste. Their flavour profile is slightly different to the Tasmanian crop and their berries are smaller and a bit spicier. Last Saturday morning, in the courtyard at Provisions Deli on Braidwood, they launched the first batches of this season's crop of Australian Mountain Pepper. They are also introducing a new line of pepper pastas - gigli (mild) and radiatori (strong) made by them in Braidwood with fine durum semolina sourced from a family mill in NSW. They also launched an Apple Smoked Pepper Salt which features Australian Mountain Pepper blended with wild apple smoked Australian lake salt and pink salt flakes. Tim and Meraiah are in the process of propagating a 3,300-plant orchard on the cleared areas of their property, which will enable them to regenerate through companion planting with other native trees while getting a commercial dividend from the forest. The couple cooks with mountain pepper berries every day. The leaves are fantastic as a bay leaf replacement. It loses some heat when cooked, adding depth and subtle spice to soups, dahls and roasts. 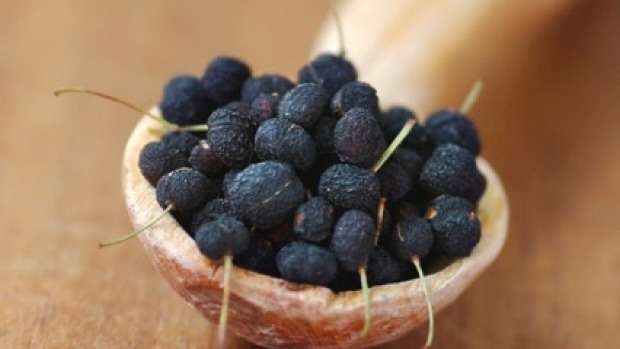 The ground dried berries can be used as a replacement for black pepper in any meal. Tim is a former chef - here is his easy, rich, spicy paste to slather on toasted sourdough, pizza, oven roasted potatoes.or as a marinade for baked chicken legs. Add half way through cooking barbecued prawns, fish or pork. Wash tomatoes (if some are larger cut to uniform size). Place in a high sided ceramic ovenproof dish and toss in a little olive oil before placing in a preheated oven at 180C. Bake until skins begin to colour and juices run freely. Cut capsicums in quarters and remove seeds. Brush skins with olive oil and grill, skin side up, unti they blacken and begin to crisp. Allow to cool and remove skin using your fingers. Heat olive oil in a heavy based pan. When hot but before it begins to smoke, add garlic and shallots and stir regularly for a minute to stop ingredients sticking, then add fennel seed, stirring for a further minute. When fennel aroma fills the kitchen add capsicum and tomatoes including juices in the baking dish.If you add Mountain Pepper early you will reduce the amount of heat. If you like a lot of kick, then add this spice later. Let it cook on low heat for a while, you want to simmer off nearly all the liquid. Remove from heat and allow to cool slightly before using an immersion blender to pulse to a smooth puree. The torn up tomato skins will add a 'wholefood' texture to your paste. (If that's not your thing, remove the skins by blanching before roasting.) If tomatoes are sweet, you may not need to add the sugar. Add salt to taste.